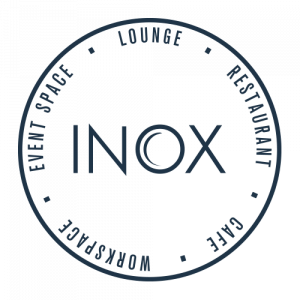 One of our young bartenders has created a new local twist on an old classic cocktail to bring the taste of Sheffield to Inox Dine’s newly launched cocktail menu. The Sheffield Bloody Mary lists Henderson’s relish among its ingredients. The spicy Yorkshire sauce adds its distinctive flavour to the classic cocktail comprising vodka, tomato juice and tabasco. It’s just one of twelve new cocktails created by our Restaurant & Bar Team Leader, Chris Sloan with the help of bartender Christopher James. Sheffield honey also features in a number of the drinks which take inspiration from original classic cocktail recipes dating back to the 1600s. Chris is a rising star among the talented Inox Dine team having joined as an apprentice from Sheffield City College just 18 months ago. He received training from internationally renowned mixologist Wayne Collins, Britain’s best bartender, as part of his hospitality training at Inox Dine before being given the opportunity to develop the cocktail menu for the restaurant. Alongside modern cocktail classics such as the Mojito, Margarita and Mai Tai, Chris has taken seven of the oldest cocktail combinations in the world, known as the Magnificent 7, and used them as inspiration to create cocktails for today’s tastes. These include the first ever cocktail combinations, the rum-based Punch, with its origins in the early 1600s; The Milk Punch, a milk based brandy beverage; The Sling, which was popular from the late 1700s and features gin; The Sour, a mixed drink containing a base liquor, lemon or lime and a sweetener; The Cobbler which originally consisted of wine, spirit and fresh fruit; The Highball, a base spirit and non-alcoholic mixer, and The Cocktail, first termed in around 1800 to describe a hard liquor mixed with other ingredients. Try out our new cocktail menu, including Chris’s signature cocktail, The Magnificent 7 and The Classics at the restaurant and bar’s new cocktail hour, 5.30pm until 6.30pm with special offers available including two for one deals.